"iBeacon Technology: What, Why, and How"
Anyone with a smartphone would know the frustration of viewing a website on his or her device that is not mobile responsive. It is complicated and annoying. 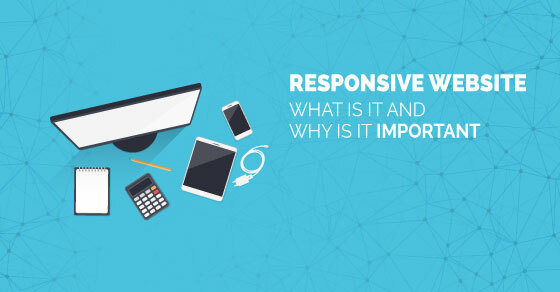 What is a mobile responsive website and why does business need it? If you’re the typical non-techy this must be the first question raising in your mind right now. Well, a responsive web design is an approach to access your website flexible on different devices in response to the one is viewing with. A mobile responsive site or simply a responsive site is a website wherein its screen size would adjust to the size of the device it is viewed from. A responsive site will make your site look top-notch with a convenient view of your website without having to scroll, pan or resize. Resilience and responsiveness are not just life skills and organizational values anymore, they are connected to technology, as well. This is why many companies, businesses, and organizations come up with the mobile responsive website for their websites. Responsive website always makes the best with the user experience. With a responsive website, you won’t have to create multiple website versions for your business. After building the website you just need to add default responsive frameworks like Bootstrap, Foundation or the custom CSS styles using media queries to resize or adjust the screen size depending on the device a user is using. With the rapid growth of the preference and use of mobile devices, it is crucial for businesses to make sure that their most reachable marketing tool, their website, can be viewed by users of those mobile devices. We are not talking the short number of people who own smartphones and tablets it’s about the notable number of users (and that number is growing) are already using their mobile devices to access websites, as compared to using personal computers. You don’t need to create a new site, you just need to update or convert it if you already have a website. When, you ask? “NOW!”, Now will be the answer to this question. There is no right time for converting a website because it should always be up-to-date. If you do not want to be left behind your competitors, you should update or convert your website now. An updated website is always better than one that has been “lifeless” for years. Take advantage of updating your website and convert it into a responsive website. Responsive web design will drive your business to a greater extent as it is the best things nowadays to reach out to many targeted users. Additionally, a responsive website is the “one-for-all” solution to make your business more known, more accepted and more preferred by seizing a larger of audience.